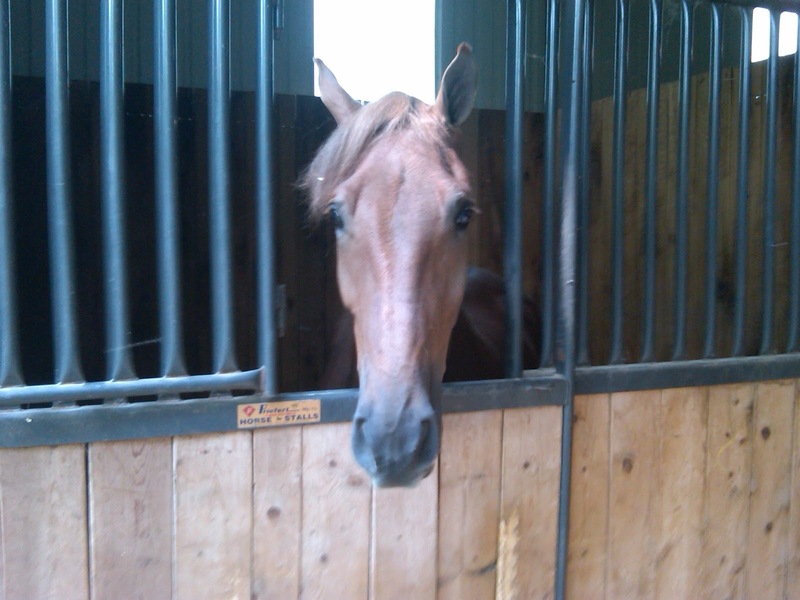 As some of you know, Bourbon has been back in training in Tennessee since January 1, 2012. He is now at Main Gait Farm under the hand of Hannah Pulvers. It's been a really hard decision to have him away from home again, but Hannah has done an amazing job.....and I just know this is the right decision for him. So Scott and I keep him close through pictures, videos and constantly talking about him. And we've even hung pictures in the barn so that Diva can see him from the cross-ties each day too. However today, I am in Tennessee, so I get to dole out real hugs and kisses this weekend. It's the Fun Show. The big spring coming out party for this season's contenders. And tonight bourbon and I will show for the first time this year. This should prove interesting....as I haven't ridden him for two months. Gosh willing, my saddle time on Diva and Fash can be translated quickly this morning so that we have a solid inaugural ride tonight. Nothing like a little pressure to get the blood pumping. Oh why couldn't it have been a smaller weekend show to ease into the year? But then again, what would have been the surprise in that? LOL. 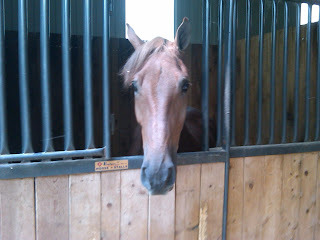 Bourbon in his sunny stall at Main Gate. 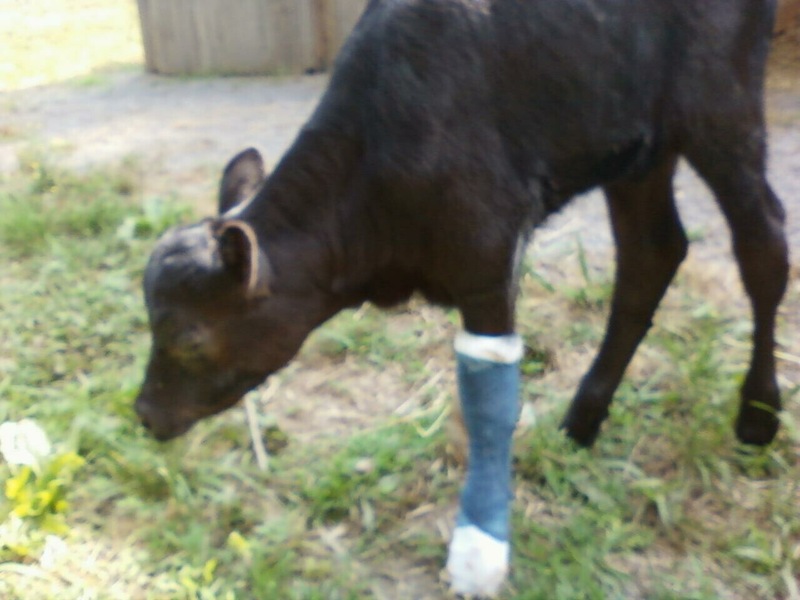 Joy the 4-day old calf...and her splints. So, I'm off shortly to see B and ride him this morning. I'm staying with Jane again....which gives me a friend and my support structure as I inflict this crazy nerve racking pressure on myself. Unfortunately she is about 40 miles from Hannah's place, but every drive mile is worth it, to be here with her. She is the ever eloquent hostess with the mostess. And of course Scott appreciates it that I'm not alone while I'm here. Plus, it gives me special experiences, like meeting the 4-day old calf that Jane is currently caring for. A cute little girl who has front splint legs to correct a birth defect. It was endearing to watch her bottle feed the lil buggar last night. And awesome to see how she got around despite her two front legs in full casts. Only Jane would be the kind soul to take over as mamma! And now she's got me to care for too this weekend. Minus the splints, and I hope to keep it that way! Wish me well tonight. May the hooves stay on the bottom, and my bottom in the saddle! I think that you said it best " my goal is having fun " when I started believing to that way of thinking, it change my whole outlook on the horse/showing world. As always-- goodluck!